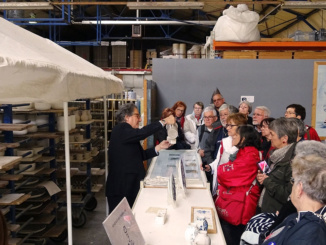 Our Delft, The Hague & Madurodam tour began at the Tours and Tickets Office at Damrak 26 in Amsterdam on Tuesday, April 18, 2017. 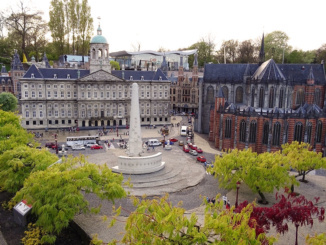 We had pre-purchased the excursion about three months earlier via the Tours and Tickets website for 55 Euro each. 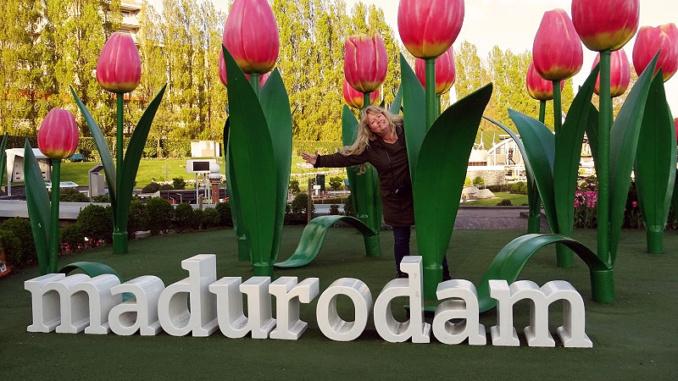 We choose this location as it was less than a five minute walk from the Amsterdam Park Plaza Victoria Hotel where we were staying. Be careful when booking these tours as the Tours and Tickets offices are located all throughout the city. We booked an afternoon tour that began promptly at 2:45pm. 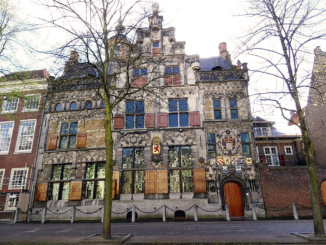 We sat on the left side of the tour bus and learned fascinating facts about the area on our one hour journey to Delft. 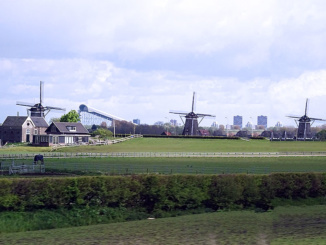 First we learned that the South Metro line connecting to Amsterdam Central Station is running almost six years behind in construction. We saw much of the track and stations along the route but the whole system has been plagued by numerous problems. 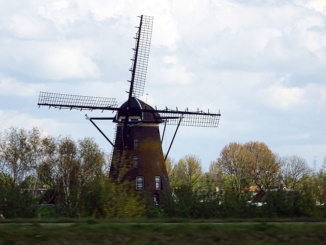 Another fact about the Netherlands is that the country is generally flat with only a single mountain 350 meters tall near the border with Germany. 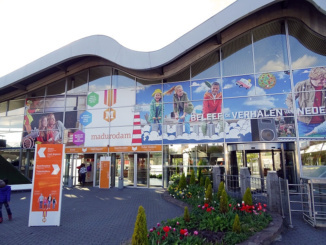 During our journey we passed the indoor Indoor Skiing and Snowboarding Resort SnowWorld Zoetermeer which was very interesting to see out in the middle of flat fields and Wind Mills. 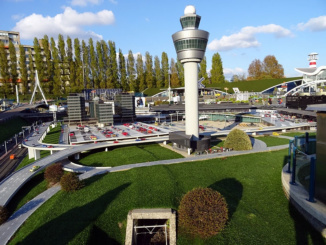 We were also educated on the Schiphol Airport being that it is the lowest lying airport in the world at 4 ft. below sea level and built on a former lake bed. The name Schiphol literally translates into Ship Hole. Finally we drove past the iconic Three Sisters Windmills in Triplet. 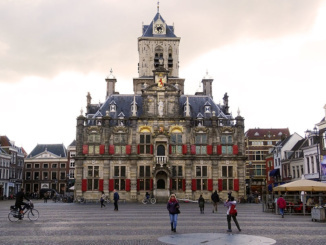 Upon arrival at the town of Delft we were told about its history as it related to William of Orange who was from the area and was killed at Prinsenhof in 1584. 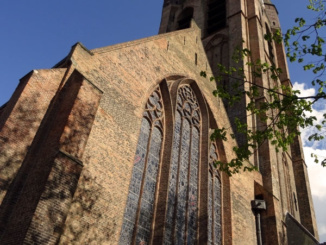 He is buried in the New Church of Delft built in 1381. 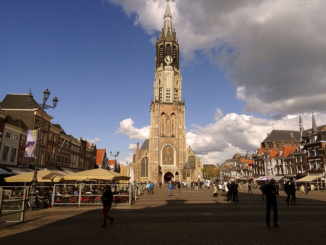 Later in our tour we will pass the New Church of Delft and the Old Church of Delft built in 1050. 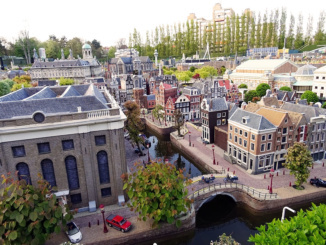 There is currently a population of approximately 100,000 in Delft and the area is most famous for its Delftware. 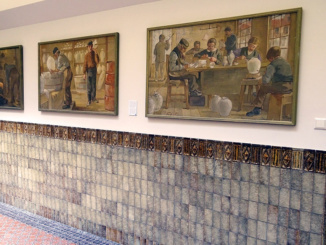 This pottery was mainly acquired through trade routes established by the Dutch East India Company with imported Chinese porcelain. 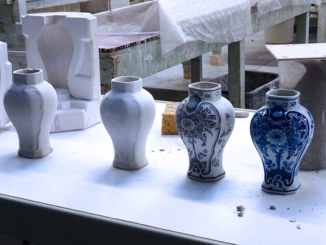 In Delft, they were able to recreate this pottery in a less expensive and more rapid form and then began producing the specialty goods themselves. 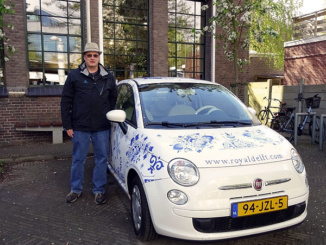 Our first stop was at the only remaining Royal Delft factory where the iconic Delft car, a car painted to look like the famous pottery itself, was parked outside. 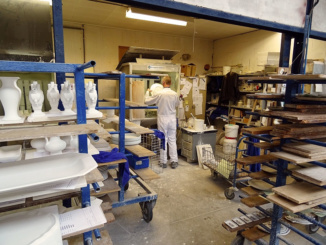 Once inside the factory we were given a firsthand look at the Delftware painting and transfer process which has been ongoing for about 350 years. There were many exquisite and unique pieces on display in the showrooms. 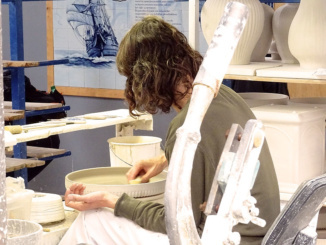 After viewing their masterful collections of pottery we had a live demonstration on the creation of a Delftware thimble. 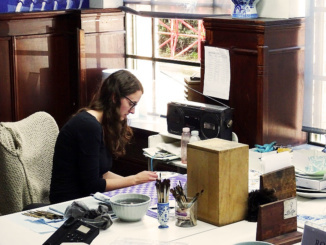 When the presentation ended we visited the showroom where we shopped among many Delftware souvenirs. 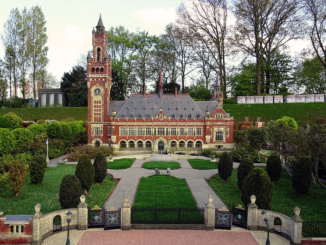 We left the Royal Delft facility at 4:45pm for the quick drive into the town of Delft. There we drove by the City Gate, circa 1400. Then we were off to the New Church and the Town Hall. We only viewed the buildings from the outside but they were both very impressive. 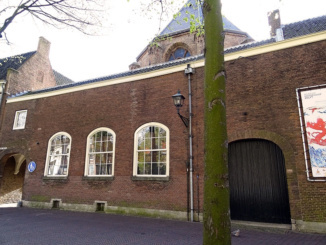 With some free time we took a short 10 minute walk to the Old Church and the Court of William of Orange, again outside viewing only. 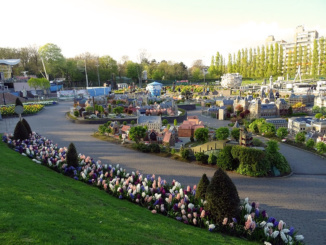 By 6:10pm we had made it back to our transport and were on our way to the miniature town of Madurodam. Although quite nice, I was expecting something much larger. 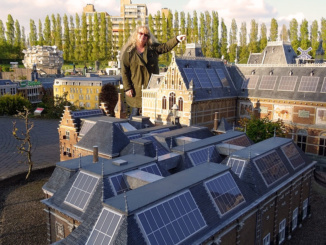 The miniature town, built to the scale of 1/25th of many identifiable Holland landmarks, provided nice backdrops for some super fun picture taking. 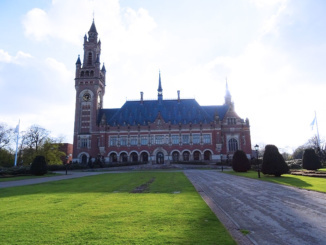 After our departure we took a bus tour of The Hague with the only stop at the International Court of Justice or Peace Palace. 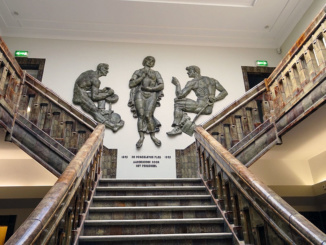 Then we were quickly on our way back to Amsterdam having traversed a good deal of the Netherlands in one afternoon.